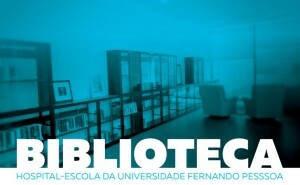 The University’s Hospital Library, located at Sala Ricardo Reis (ground floor), offers a collection of publications by the UFP’s Publisher, as well as several other books on different areas of knowledge. All FFP’s employees and inpatient services’ users may borrow these books, for a period of 15 working days. The project “+Leitura, +Saúde” of the University’s Hospital Library aims at promoting reading amongst its hospitalised patients. In its essence, it integrates another project “+Leitura, + Saúde: Voluntários da Leitura”, which involves reading aloud different sorts of texts to all hospitalised patients at the Long-Term Care Unit and at the Convalescence, Rehabilitation and Maintenance Unit. Join us! Apply as a Volunteer.